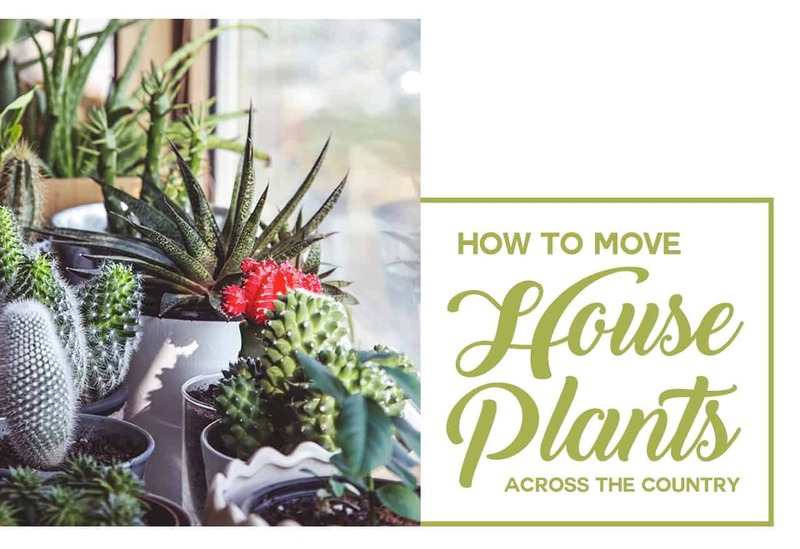 There are a lot of reasons why you might pack up and move several hundred miles away from your home in California to a new residence in Washington. The Evergreen State is known for its cold weather, beautiful mountain ranges, buzzing coffee culture, and vigorous high-tech industries. While not as complicated as an international move, relocating across the country is still challenging. There are subtle economic, political, cultural, and environmental differences you should be ready to face. You also need to plan and manage your move to avoid common pitfalls and unnecessary costs. Find out more about life in Washington, what to expect in your travels, and how you can better prepare for this exciting change. Although still on the Westcoast, Washington’s climate, geography, and culture are distinct from what you are used to in California. It rains a lot in Washington. Transitioning from the warm, mild climate of the Golden State to the cold, windy weather in the Pacific Northwest takes some adjustment. Weather patterns sweep in from the icy northern oceans. They zip across the state bringing with them cold air and precipitation. On the westernmost edge of the Olympic Peninsula, the Olympic Mountains absorb the brunt of the storms and create a rain shadow to shield the Puget Sound area from the worst of it. Although Seattle does have a reputation for rain, the annual average precipitation is not much higher than that of the rest of the country. A misty drizzle falls for about 150 days a year creating 38 inches of rainfall a year. The national average is about 30 inches annually. Temperatures can drop below 20 degrees in the winter, so expect snow and ice. The Cascade Mountains stretch from north to south and split the state into western and eastern halves. Low hanging clouds must unload their haul of atmospheric moisture before clearing this natural barrier. Consequently, the eastern half of the state is much drier with a climate more reminiscent of California’s Central Valley. Tip for new residents: Get your cold weather gear, including warm clothes and tire chains, before you try to tough it out through your first winter. One of the most surprising things about living in Washington State is the position of the sun. At a more northern latitude, seasonal changes are dramatic. During summer, daylight lingers until nearly 10 PM and returns shortly after 5 AM the next morning. Conversely, the winters are cold and dark. With dreary skies and quickly fading daylight, seasonal affective disorder is a common plight for residents. Many new residents underestimate the impact from the lack of winter sunlight and suffer through depressions. Tip for new residents: Stock up on Vitamin D supplements to help ward off the winter blues. As a former resident of California, you are in for a wonderful surprise. Washington State does not collect a state income tax. You can cross the chore of filing a state return every year off your list, and this favorable situation is unlikely to change. The prohibition against state income tax is written into Washington’s state constitution. Washington residents do pay a slightly higher sales tax. Statewide, the tax is 6.5 percent, but each county may add additional taxes to fund local governments. The actual rate varies by location. Most places collect around 9 percent, but the highest combined sales tax you might encounter is 10.4 percent. Unprepared food items, like your groceries, are exempted. Washington has one of the highest minimum wage rates of any state in the country. As of January 1, 2018, the state minimum wage was $11.50 per hour. Seattle is also the first city to experiment with a mandatory $15 per hour minimum wage. Tip for new residents: Budget a little more for your monthly expenses until you get used to the slightly higher out-of-pocket costs. Like California, the cost of living is high in urban areas and lower in rural zones. If you live in the greater Seattle area, you need upwards of $70,000 yearly income to live comfortably. Those in other counties and regions can get by with less. There are no price controls on apartment rental rates. The state allows landlords to charge as much as they like trusting the invisible hand of the rental market to take care of the rest. When you search for a place to rent, many landlords advertise a rental range instead of a set amount. You won’t always know for sure what the rent will be until you sit down to sign the lease. Most renters agree to a lease contract that locks the rent payment for a fixed period. There are penalties for breaking a lease early which usually amounts to two months of rent, but even without a contract, landlords may not raise prices without providing tenants a 30-days prior written notice. Tip for new residents: If you see a great deal while apartment hunting, grab it. Desirable apartments do not stay on the market long, and prices fluctuate. Washington has a thriving manufacturing sector with aerospace companies dominating the region. The Boeing Company began in Washington, and the largest aircraft assembly plant in the country sits in Everett just north of Seattle. Amazon has its headquarters in Seattle with offices throughout the region and a major distribution center in Kent. Microsoft’s headquarters are in Redmond, and it also has offices in Bellevue. You might also find employment with other internet companies like Zillow or Moz. Trade workers in transportation, fishing, and agriculture have plenty to do. Major ports along the Puget Sound service container vessels arriving from all over the world. Intermodal shipping networks need rail and truck operators, and Washington’s farmlands export more apple and cherry produce than any other state. Canneries process fish with stock caught by local vessels in nearby waters. Tip for new residents: Start your job search early and make sure your online profiles are professional and current. 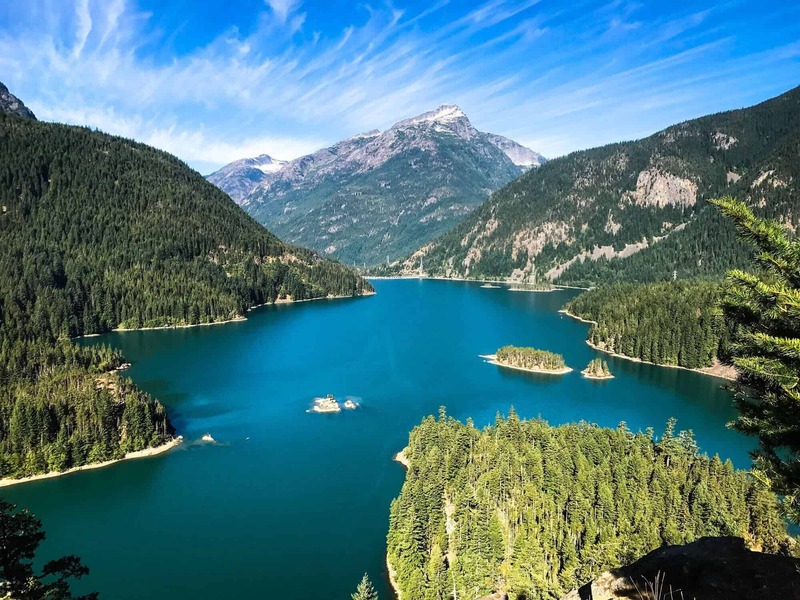 Outdoor recreation is one of the biggest shared passions for Washington residents, and there are plenty of places to enjoy the hobby. The state has several state and national parks and forests that celebrate and preserve the natural environment. Check with the Washington Trails Association for detailed lists of favorite hikes in the summer. In the winter months, ski resorts host enthusiasts amongst the peaks of the state’s impressive collection of mountain ranges and volcanoes. Water sports are also popular. Washington has over 2500 miles of waterfront land with plenty of access to the open ocean, the Puget Sound, rivers, and lakes. Find time for fishing, sailing, or kayaking. To enjoy a casual day trip across the water, try taking the State Ferry and visit anyone the islands nestled in the region. Tips for new residents: Buy a guidebook and keep it handy. Refer to it often. Move Easy. Move Happy. Move with Great Guys. Overall, Washington’s economy is strong, and the state offers plenty of opportunities for employment and higher education. The crime rate is slightly lower than the national average with violent crimes, such as assault, even less common in similarly populated areas. The largest city in the state sits on a narrow spit of land between the Puget Sound and Lake Washington. You’ll find Washington’s best outdoor recreation, restaurants, nightlife, and coffee culture here. Seattle also hosts professional sports teams the Seahawks, the Mariners, and the Sounders. If you love college football, the University of Washington’s Huskies play at their stadium just north of Union Lake. Something to Try: Visit observation decks at the Space Needle and Columbia Tower or ride the Ferris Wheel on the waterfront. Along the Northern tip of Lake Sammamish, the City of Redmond is home to some of the wealthiest tech moguls in the country. The economy and housing markets are strong here. Next door to Redmond, is the city of Bellevue where many adventurous entrepreneurs launch their startups. Redmond enjoys convenient access to all the big city amenities of Seattle, and Highway 203 runs to the east of town acting as a sort of secret escape route to mountains. Something to Try: Walk, jog, or bike along the 11-mile long Sammamish River Trail. All the way on the eastern side of the state, Spokane’s economy is supported by wide-open agricultural and forestry lands, and US service personnel stationed at Fairchild Airforce Base pour their resources into local businesses. The main campus of Washington State University provides residents with access to affordable postsecondary education, and Interstate 90 connects the region with Idaho. Something to Try: View the Spokane Falls on Monroe Street, right in the center of town. The Puget Sound is littered with inhabitable islands. Although often swarmed in the summer months with tourists, you may access the San Juans and Whidbey Island by the Washington State Ferry system year-round. The region is supported mostly by tourism and a services-based economy. High paying jobs might be challenging to find, and many residents resort to commuting by ferry boat daily. With careful planning, it’s still possible to carve out a living along the peaceful shores of the islands. Something to Try: Drive across Deception Pass and cruise up to the observation area on the top of Mount Erie in Anacortes. The state capital of Olympia is also a centrally located port city. Olympia is where all the state’s political action takes place. If you plan to work in government, this is the best spot to be. Olympia enjoys access to major highway interchanges. You may drive to any other part of the state without the need to plan around a water crossing. Something to Try: Take a free guided tour of the state’s capitol building. If you can’t afford to live in Seattle, Tacoma is the next best thing. Unlike the more massive metropolis to the north, Tacoma has reasonable housing prices balanced against its common man style economy. Shipping, warehousing, and transportation companies thrive here. The city also shares the Seattle International Airport in the suburb of Sea-Tac, just 20 minutes north on Interstate 5. Something to Try: Attend America’s Car Museum, voted one of the top 10 museums in the country. This city on the northern edge of the state has a small-town culture, waterfront location, and its very own international airport. Bellingham’s downtown district is full of boutique shops, breweries, and nightlife. It’s also near the Canadian border making day trips into British Columbia possible. Something to Try: Stroll along the Historic Fairhaven District and visit locally owned shops and restaurants. The process of locating a good and reliable interstate mover like can seem like a daunting and expensive task. However, if you conduct a little research when shopping around, you can save thousands of dollars and avoid moving scams. Start planning your move as soon as possible and set easily obtainable goals. Track your progress and adjust your plans as needed. Sell – Place an ad for specialty items and hold a garage sale to liquidate your assets. Donate – Give a local charity your old clothes, blankets, and household goods that don’t sell. Toss It Out – Recognize when items have no value and discard them. Reducing your inventory relieves some the burden of moving. It’s less stuff to pack and haul, and the cash from selling old things supplements your moving budget. It takes some time to get a response to your advertisements, so start downsizing right away. Make a list of unwanted items as soon as you know you are going to move and allow yourself several weeks to chip away at it. If you plan to do the work of moving yourself, gather your packing supplies at least two weeks before you relocate. Use plenty of padding and tape to secure breakables and protect furniture surfaces. Basic A to B Transportation – Movers help you load a truck and then drive it for you. Partial Pack Service – You designate rooms and belongings you need help boxing. Full Pack Service – The movers completely pack everything and provide door-to-door delivery. Start searching for a moving company as soon as you know you are moving. Even if you only rent a truck, make your reservation as early as possible. Do you have the proper licensing? Have you ever handled a California to Washington move before? What insurance do you carry? Can you offer additional insurance to protect my things? Will you provide me with a not-to-exceed estimate? What is your cancelation policy? How can I contact the driver during the move? Only work with a licensed and reputable moving company. If you find movers through Great Guys Long Distance Movers, we’ve already double-checked licensing and credentials for you! Once you’ve decided on a firm, make an appointment to meet with the company representative to go over the details of the move at least a week before the event. Every legitimate moving business carries standard liability coverage, but that only protects business-related concerns. Purchase a full value protection option to cover the replacement cost of your belongings. A release value protection plan is often more affordable but only covers a portion of damages. If you rent your home, give at least a 30-day notice of your intent to move. Check your old rental contract and avoid penalties for breaking a lease or failing to clean before you vacate. Notify your employer at least two weeks before you leave your job and secure a good reference on your way out. About a week before you leave, notifying the US postal service of your change of residence and set up a forwarding address. In some instances, the postal service might notify others of your change of address for you but verify with each interested party to be sure. If you plan to drive to Washington, make sure your vehicles can make the journey. Have them serviced at least a week before you depart. Tires must be inflated and in excellent condition with no air leaks. Brakes should provide plenty of stopping power without vibrating. Coolant, oil and other fluids need to be fresh and filled to the correct levels. Make sure your wiper fluid is full, and your wiper blades are in good condition. Check all lights and make sure your high and low beams are in proper adjustment. In the summer, bugs swarm the highways through California and the eastern side of Oregon and Washington. They make a mess on your windscreen. Expect rain, snow, ice, and fog through the mountains during the colder months. Update your insurance information and know the available resources on your route. Keep a list of hotels, service stations, and restaurants with you. Interstate 5 is the fastest way to get to Washington, or you can veer to the east near Mount Shasta and travel across highway 97 through the drier areas of the Pacific Northwest. Highway 101 is a coastal route through gentle sloping hills and along the edge of the rocky shores in all three states. Verify your prescriptions are available at a local pharmacy. Identify the locations of hospitals and emergency services. Register for school and obtain class schedules. Tour the area and get familiar with the major roads. Learn your commute before you start a new job. You have 30 days from the time you establish your residence to obtain a Washington driver’s license and register your vehicles. Unlike California, Washington divides its Department of Motor Vehicles into two different locations. To get your driver’s license, you must go to the Department of Licensing. If you have a valid California License, you do not need to test for a Washington license. Just surrender your old license and pay the fee. Register your vehicles with the Department of Vehicle Licensing. Washington requires drivers to carry minimum liability insurance and to comply with emissions standards. Some counties require an inspection. You may complete some of your business online or by mail, and you can also register to vote. After you rest from your travels, look for an opportunity to get involved in the community. Join a nature club, connect with a religious organization, or invite new friends out for a coffee date. Get out there and enjoy the Pacific Northwest. Movers you can trust. Pricing you can afford. Get a Moving Quote By Text? Text "move" to (678) 785-8005 for an instant response!